+ four = 6 Required Please enter the correct value. 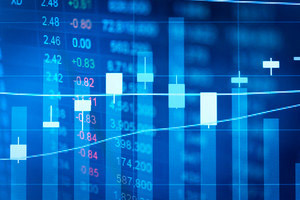 Economic data caught up with the Dow Jones Industrial Average today (Friday) as concerns about global growth, unimpressive earnings reports, and slipping oil prices fueled a small sell-off. The downturn came despite positive economic data out of China that showed the nation's first-quarter GDP fell in line with economists' expectations. Here's what else you need to know about the markets on April 15, 2016. Shares of Citigroup Inc. (NYSE: C) fell 0.5% after the company beat Wall Street quarterly expectations, but reality started to sink in for the financial sector. The firm reported a slump in quarterly profits, but it was enough to beat dismal earnings expectations. As we said yesterday, it's staggering how low expectations are these days on financial companies. The stock was up for most of the day despite news Citi's revenue slipped by 11% and its income fell 27%. Meanwhile, pay attention to Goldman Sachs Group Inc. (NYSE: GS), which is set to report first-quarter earnings on Tuesday. The investment bank's stock was down 1.2% today on news that its firm plans to cut costs in the coming months. Analysts anticipate the firm will report its worst earnings results since 2009. WTI crude oil prices slipped after Saudi Arabia made headlines today. The nation announced that it will use its vast oil resources to form the single largest publicly traded stock in the world. The size of this company will blow away today's largest firms like Exxon Mobil Corp. (NYSE: XOM), Apple Inc. (Nasdaq: AAPL), and Alphabet Inc. (Nasdaq: GOOGL) with a market capitalization that will be in the trillions. But is it a good investment? 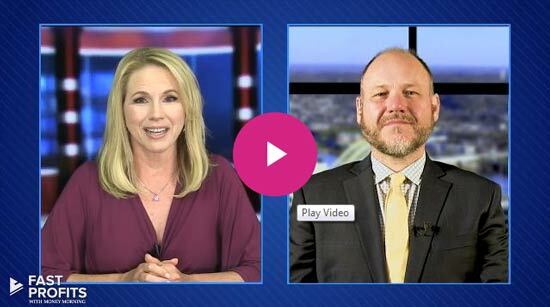 Money Morning Global Energy Strategist Dr. Kent Moors breaks down the announcement and offers his insight on where oil prices go from here. On the economic front, domestic industrial production slipped more than economists had anticipated in March. The sector faced the sharpest downturn in a year, raising new concerns about the health of the economy and growth in the first quarter. But the big news today was China. The world's second-largest economy showed that its GDP growth fell to 6.7% in its first quarter. China's National Bureau of Statistics said that the country was growing at seven-year lows; however, the figure still topped economists' expectations of 6.6% growth. That might be positive news for some investors, but we have to watch out. The nation has been printing money and slashing the value of its currency in order to spur growth. In addition, China doesn't have the best reputation in the world for transparency when it comes to its financial figures. Shares of BATS Global Markets Inc. (BATS) rallied more than 20% after the company went public today. It was the first non-healthcare IPO of 2016, and investors were eager to scoop up shares of the exchange operator. There's always money in mergers. Today, shares of Polycom Inc. (Nasdaq: PLCM) rallied on news that the company is being purchased by Mitel Networks Corp. (Nasdaq: MITL) for $1.8 billion in cash and stock. Finally, it's been a tough run for the FB share price. Deutsche Bank AG (NYSE: DB) told investors on April 4 that it shouldn't expect the same earnings in Q1 2016 that it had in Q4 2015. But any short downturn in the FB stock price is just going to create a buying opportunity for savvy investors. Here's why Facebook Inc. (Nasdaq: FB) stock is poised to soar to $250 per share. Shares of 3D Systems Corp. (NYSE: DDD) slumped 4% after Citigroup slashed the 3D printing giant's stock rating.